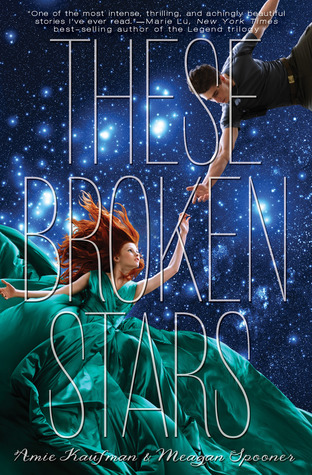 These Broken Stars is a sci-fi novel by Amie Kaufman and Meagan Spooner. It is the first book in the Starbound series and takes place in a futuristic society. This novel is similar to a survival or apocalyptic novel in that the main character are trying to stay alive as long as possible with limited resources. It’s a night like any other on board the Icarus. Then, catastrophe strokes: the massive luxury spaceliner is yanked out of hyperspace and plummets into the nearest planet. Lilac LaRoux and Tarver Merendson survive. And they seem to be alone. Lilac is the daughter of the richest man in the universe, Tarver comes from nothing, a young war hero who learned long ago that girls like Lilac are more trouble than they’re worth. But with only each other to rely on, Lilac and Tarver must work together, making a tortuous journey across eerie deserted terrain to seek help. Then, against all odds, Lilac and Tarver find a strange blessing in the tragedy that has thrown them into each other’s world, they begin to wonder – would they be better off staying here forever? Everything changes when they uncover the truth behind the chilling whispers that haunt their every step. Lilac and Tarver may find a way off this planet. But they won’t be the same people who landed on it. These Broken Stars was an interesting read. I liked how despite the complex society, the novel was focused on two characters, one planet and one space ship. This prevented the world from becoming to large and information from becoming overwhelming. I enjoyed the survival element, however I did reach a point where I got bored with following the travel of the characters through a landscape. Character wise, I liked Tarver from the moment I read the first chapter in his perspective. I struggled to like Lilac, although I did feel like we have similar characteristics (determined, stubborn, close minded etc.). I didn’t enjoy the style of her chapters, however I started liking her more as a character closer to the end of the novel. The plot had some high points, and there were one or two good plot twists. Towards the end, the novel took a sharp turn towards being just a bit weird. Demonic possession anyone? I liked the relationship between Lilac and Tarver, although I struggled due to their resemblance both physically and mentally to the main characters in my WIP. I did like this novel, but there were some points I had to push my way through. Overall I give These Broken Stars three stars. I would recommend it to anyone who enjoys novels in the following genres: romance, sci-fi, survival, supernatural. I do plan to keep reading the series and am interested to see where it goes. I’m Emma, a reader of YA fantasy, dystopian and science fiction. I enjoy sharing my thoughts on books and giving some tips on writing fiction as I struggle through the writing process. Want to be emailed whenever I post?